If you have 'Mammoth Tooth Earrings' in your shopping cart go to View Cart at the top of the page to check out. If you are having any problems with the checkout process we are here to help. Call us toll free 1-877-892-0297 to place your order. 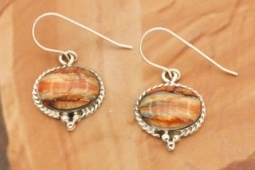 Genuine Ancient Mammoth Tooth set in Sterling Silver Earrings. 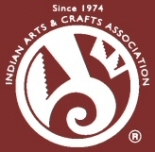 Created by Navajo Artist Barbara Hemstreet. Signed by the artist. This Pendant features Ancient Mammoth Tooth. The mammoth roamed the Earth for 1.8 million years, until it's extinction about 10,000 years ago. Unearthed in Northern Alaska, Canada and Siberia, its unique colors are derived from minerals in the soil.